The HSS Hire / Laois Hire Group are currently focused on a programme of expansion in Ireland. The group recently opened a new super centre in Limerick, a new Laois Hire distribution centre in Dublin, plus another branch is due to open in Waterford in July. 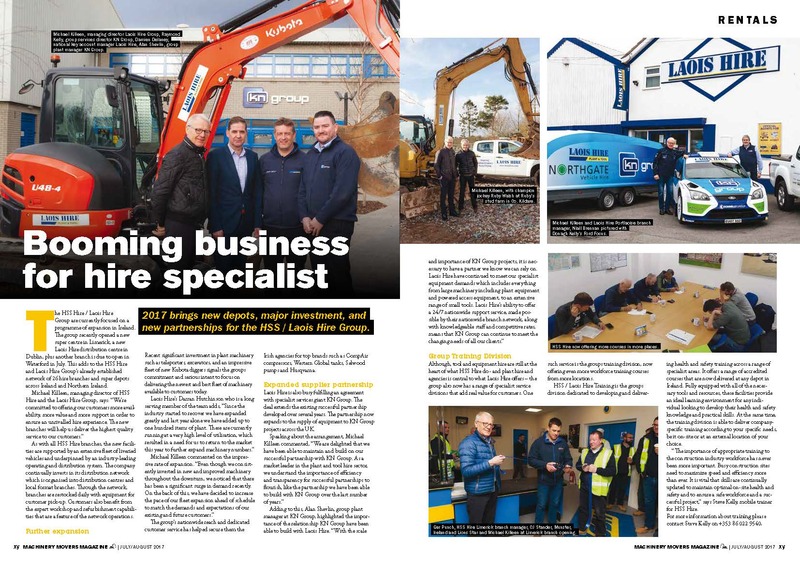 This adds to the HSS Hire and Laois Hire Group’s already established network of 26 hire branches and super depots across Ireland and Northern Ireland. As with all HSS Hire branches, the new facilities are supported by an extensive fleet of liveried vehicles and underpinned by an industry-leading operating and distribution system. The company continually invests in its distribution network which is organised into distribution centres and local format branches. Through the network, branches are restocked daily with equipment for customer pick-up. Customers also benefit from the expert workshop and refurbishment capabilities that are a feature of the network operations. The group’s nationwide reach and dedicated customer service has helped secure them the Irish agencies for top brands such as CompAir compressors, Western Global tanks, Selwood pumps and Husqvarna. 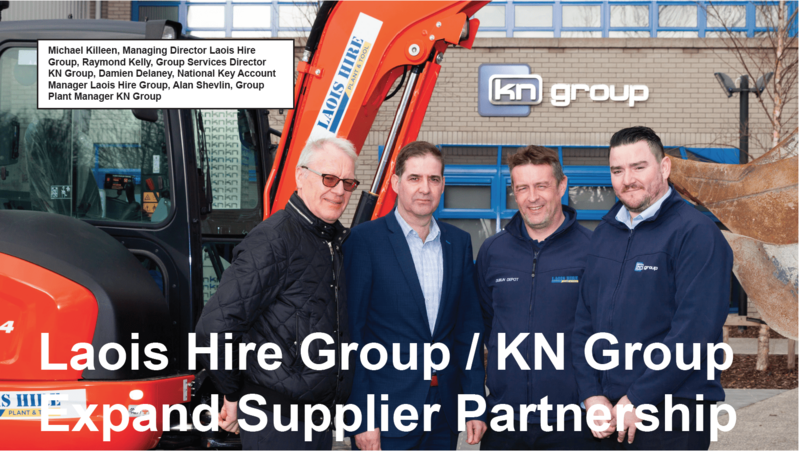 Laois Hire is also busy fulfilling an agreement with specialist services giant KN Group. The deal extends the existing successful partnership developed over several years. The partnership now expands to the supply of equipment to KN Group projects across the UK. Although, tool and equipment hire are still at the heart of what HSS Hire do – and plant hire and agencies is central to what Laois Hire offers – the group also now has a range of specialist service divisions that add real value for customers. One such service is the groups training division, now offering even more workforce training courses from more locations. HSS / Laois Hire Training is the groups division dedicated to developing and delivering health and safety training across a range of specialist areas. It offers a range of accredited courses that are now delivered at any depot in Ireland. Fully equipped with all of the necessary tools and resources, these facilities provide an ideal learning environment for any individual looking to develop their health and safety knowledge and practical skills. At the same time, the training division is able to deliver company specific training according to your specific needs, be it on-site or at an external location of your choice. “The importance of appropriate training to the construction industry workforce has never been more important. Busy construction sites need to maximize speed and efficiency more than ever. It is vital that skills are continually updated to maintain optimal on-site health and safety and to ensure a safe workforce and a successful project,” says Steve Kelly, mobile trainer for HSS Hire. For more information about training please contact Steve Kelly on +353 86 022 9540.